We’re honored to have Dr. Tanya Bennett as a guest author for today’s blog. Dr. Bennett is a Professor and Dean of Honors at UNG as well as the project director for UNG Reads. Although the population of North Georgia is diverse in culture and ethnicity, language, religion, educational background, and economic class, there is one important value we all share: a strong commitment to young people. To foster a love for books, improvement in literacy rates, and cross-cultural understanding, the UNG Reads program will feature events throughout October, reaching across boundaries to bring together campus and community, work across city and county lines, and appeal to residents of all ages and backgrounds to celebrate reading and its benefits. As we read and discuss Rudolfo Anaya’s beloved novel Bless Me, Ultima, or Bendiceme Ultima in Spanish, we will engage together in conversations about the challenges of growing up, the gifts of the natural world, and the importance of elders in a thriving community. In the process, parents, teachers, and mentors will model for younger readers the insight and joy that a book can bring. Through the program’s companion books—Judith Ortiz Cofer’s Call Me Maria and Samantha Vamos’s The Cazuela that the Farm Maiden Stirred—we’ll read to and with younger readers, enjoying together the communal experience of stories and words. Research tells us that the human brain undergoes a significant period of development before the age of four years. Children who are read to during this phase of their lives often develop vocabularies notably larger and richer than those who are not read to and engaged in ways that convey to them that their thoughts and ideas are interesting and important. Further, reading with an adult teaches children the power of the written word and the role of their imaginations in understanding themselves and the world. And what warmth and excitement a child experiences sitting in the lap of an adult or older sibling and traveling through a story together! The wonderful feeling of such moments can turn into a love for books themselves, which can greatly smooth the path of adulthood. 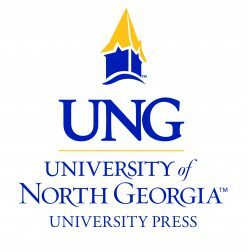 The October UNG Reads program will create opportunity for us to read together as a community, sharing and learning about the rich culture of North Georgia’s Hispanic residents. And in the process of encouraging young people to read, we’ll have a ball! Because, as even the eldest of us knows, you’re never too old to enjoy a good story. If you’d like to join us, events will be hosted across all five UNG campuses. More information can be found at the UNG Reads Facebook page.